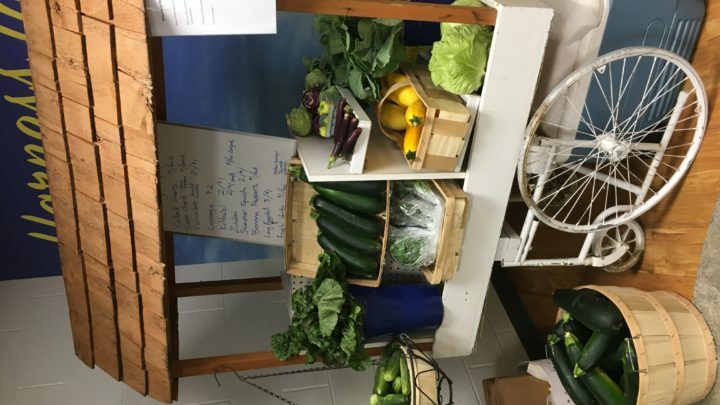 A Garden Cart featuring a small sampling of the daily harvest from the garden is now set up at SPARK! every weekday from 11am – 3pm. All are welcome to stop by.